Made in the USA. The Schecter Sunset Standard features the excellent craftsmanship of the Schecter USA Custom Shop housed in Schecter’s most popular body shape - and now at its most affordable price ever! 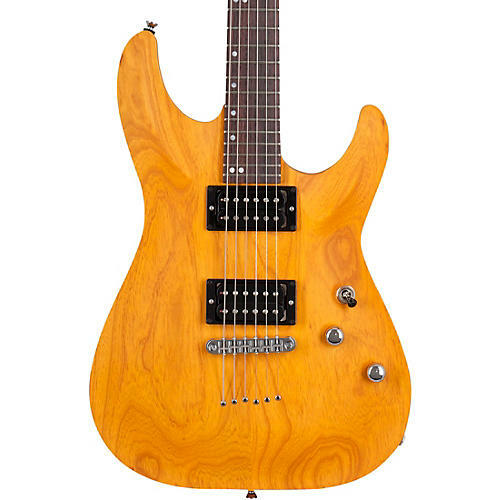 Its swamp ash body delivers clarity in the upper register, while providing a warm low end punch. The 5-piece neck is expertly carved from hard rock maple and black walnut, and the 14” radius and Custom C neck profile provide a perfect balance of comfort and playability. The rosewood fretboard affords a rich, warm tone as well as a rockin’ smooth feel. The Sunset Standard is built at Schecter’s Sun Valley California facility, and it comes loaded with Schecter’s highly sought after Pasadena/Pasadena Plus pickups, known for their harmonically rich gain as well as their clear-as-day tone when played clean. Add in a durable Jascar 6100 fretwire, a TonePros bridge with string-through body, a Graphtech Black TUSQ nut, Schecter locking tuners, CTS electronics, and Schecter USA craftmanship, and it equals the most guitar you can get anywhere in the world at this price. Includes gig bag.